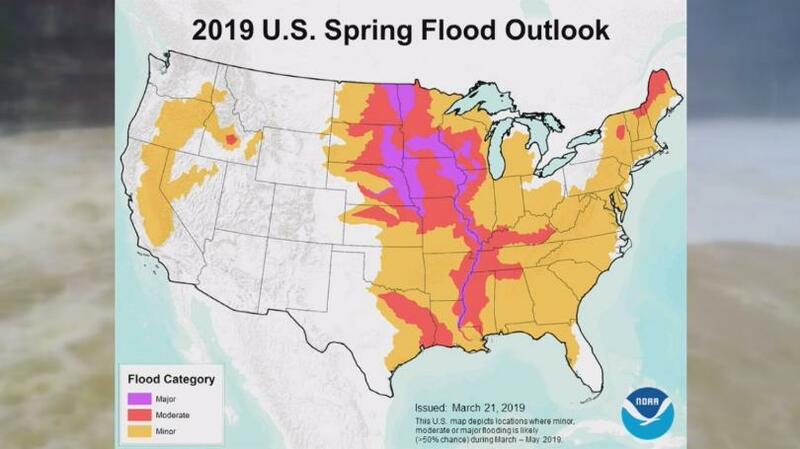 Based on what we have seen and whats already starting to our north, river flooding may be a big event this year for some of us on the west side of the state. Below is the spring flood outlook that was released this week. I would say the recent drying trend has helped the flood situation somewhat. However, there are actually still areas in east TN that have standing water. It's almost as if new lakes or ponds have formed in the aftermath of the recent wet spell. Here is a news report from just two days ago. I don't think I've ever seen flood waters linger this long. We have a similar situation at a subdivision near Ooltewah. It's in a natural low spot, and the water table has become so high that it refuses to drain. 8 homes will have to be condemned. The county came in with a survey crew and determined that they couldn't even pump the water out. It's just a new pond now.